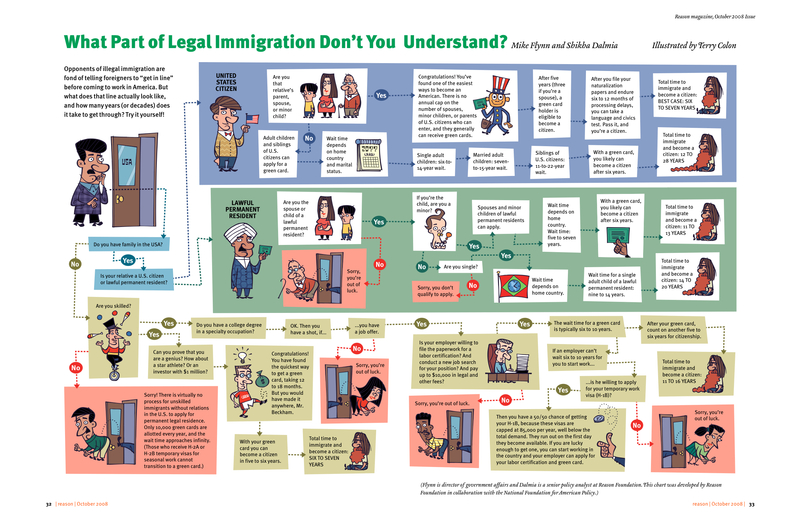 My friend asked me the other day about how someone can become a legal immigrant. Here’s a helpful illustration. Ya turns out it’s not so easy. This is why you buy a winter coat and go to Canada. The process is easier, more flexible, and more efficient. And you get health care. And quality schooling that doesn’t cost a fortune. And you can eat unpasteurized dairy products. And Canadians are all happy jolly people who never lock their doors and would be happy to invite Michael Moore in for a cup of tea. Careful of Listeria you hippie!